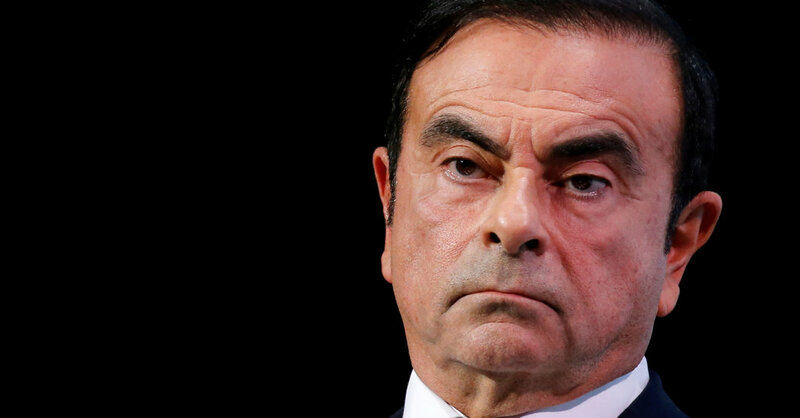 TOKYO — Nissan shareholders on Monday voted to remove Carlos Ghosn from the company’s board, severing one of its last ties to an executive who once was hailed as the automaker’s savior. He was released on bail in early March, but Japanese prosecutors rearrested him late last week, accusing him of using a Nissan subsidiary to enrich himself to the tune of $5 million. Mr. Ghosn and a close associate, Greg Kelly, who was charged with helping him underreport his compensation, have denied all wrongdoing. Nissan removed Mr. Ghosn from his position as chairman in November, shortly after he was arrested, but the board could not remove him as a director until Monday’s special meeting. Nissan’s chief executive, Hiroto Saikawa, and the board of directors began the session with an apology and a deep bow to the assembled shareholders. The audience was not in a forgiving mood. During a question-and-answer session, shareholders launched a salvo at board members. One person called for the entire group to resign to make amends for fumbling their responsibilities to the company. The suggestion was met with applause and hoots of approval from the assembly. Shareholders voted to replace Mr. Ghosn with Renault’s new chairman, Jean-Dominique Senard. He will assume the role of vice chairman on Nissan’s board. They also removed Mr. Kelly from his seat on the board. Mr. Kelly, who faces charges of helping Mr. Ghosn hide his compensation, is free on bail in Tokyo. Mr. Ghosn’s sudden fall plunged the auto-making alliance of Nissan and Renault into chaos. Mr. Ghosn led both companies and the alliance itself, and his arrest added tension to a relationship that already had begun to fray as Nissan struggled to assert independence from Renault. But in recent weeks, the group, which includes Japanese automaker Mitsubishi, has pledged to redouble its efforts to work together. Renault, for its part, is eager to move on and focus on the future business of the alliance. Tensions had blown up between the two companies after Mr. Ghosn’s arrest, as Nissan leaked allegations of his wrongdoing into the media. Renault and the French government, its biggest shareholder, responded bitterly and maintained a presumption of innocence toward Mr. Ghosn. But in recent months, Renault’s own internal investigations began to turn up questionable use of company funds by Mr. Ghosn. These included a lavish Marie Antoinette-themed wedding party at Versailles, and payments to a Renault-Nissan business partner in Oman that are suspected of being used to help finance Mr. Ghosn’s yacht. Renault referred both findings to French prosecutors. In March, the companies announced the formation of a new operating board for the alliance, following discussions at Nissan’s headquarters in Yokohama aimed at creating a new path forward for the three automakers, with a greater voice for the junior Japanese partners. The board includes two representatives from Renault and one each from Nissan and Mitsubishi. Still, questions surrounding the imbalance in the alliance’s ownership structure remain. While Renault has argued that closer ties would help the companies work better together and share costs, some Nissan executives remain concerned that Renault, which holds a 43 percent stake in the Japanese automaker, would still wield greater power. Nissan owns a 15 percent nonvoting stake in the French automaker. Executives at both companies have said that the issue is one to be addressed in the future. But it was clearly on the mind of at least one shareholder at Monday’s meeting, who criticized Renault’s role in making business decisions at Nissan. Previous PostPrevious White Collar Watch: What Laws Could Investigators Use to Pursue a Case Against Boeing?